LUKE WARM?! Never again! What if glacier-cold water could last through a scorching summer day? THERMO TANK has you covered! 36 HOURS COLD?! HOW? Science, yo. Between 2 impenetrable WALLS OF STEEL is an vacuum space. WHY? Incredible insulation that an adventurer need. A layer of copper surrounds this hidden space for even further protection from the elements. AND it's sweat-free. WARNING - drink in bottle may be colder than it appears! ROOM TEMP COFFEE? Gross! We've got you covered there too. Coffee fans will tell you - this bottles keeps your coffee hot and your body fueled! 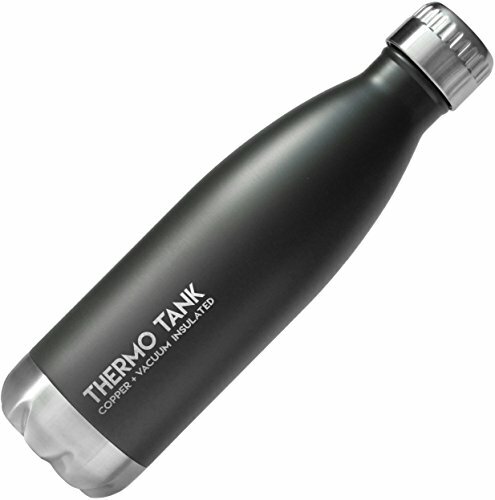 This bottle will hold 17oz of your favorite beverage, and keep it as hot OR cold as you like, ALL DAY! WORLD-CLASS CUSTOMER SERVICE! Your satisfaction is 100% GUARANTEED - or your money back! Shop today absolutely RISK-FREE! No-nonsense money back guarantee. We mean it. LIMITED SUPPLY - These bottles won't last at this introductory price! Compare to others at double the price, and they still won't match our quality! We promise you'll be thrilled, so hurry and order today! ROOM TEMP COFFEE? Gross! We've got you covered there too. Coffee fans will tell you - this bottles keeps your coffee hot and your body fueled! 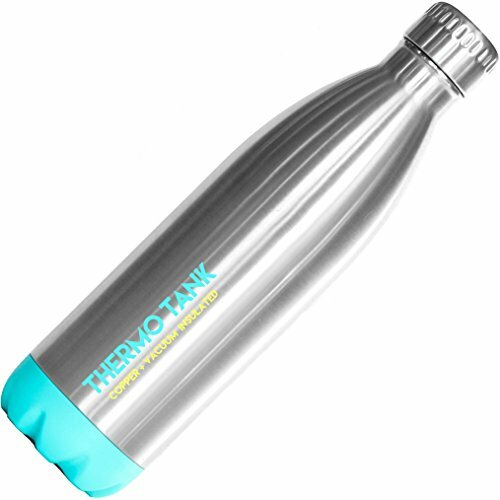 This bottle will hold 25oz of your favorite beverage, and keep it as hot OR cold as you like, ALL DAY! LIMITED SUPPLY - These bottles won't last at this price until Christmas! Compare to others at double the price, and they still won't match our quality! We promise you'll be thrilled, so hurry and order today!